Vaonis > Blog > Why do the stars disappear ? “Turn off the lights, light on the stars !” is the purpose of the french national movement “The Day of the Night” aiming to raise awareness of the impacts of the light pollution among the general public. The surge of artificial light is indeed being questionable on our health, wild life but also on astronomical observation. More than 400 activities are scheduled to take place within the french territory, during the night from the 13th to the 14th October 2018. Light pollution is made of all kind of disturbing light sources whose origin comes from human activity (street lights, commercial signs, advertisement…etc). 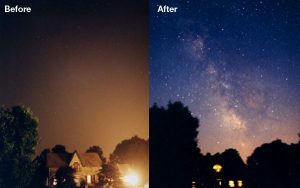 Currently, 99 % of the European and American population is living under light polluted skies. 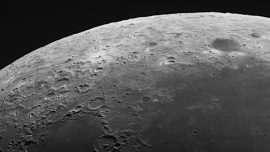 In the same way as the sound disturbance or the pollution as a whole, it produces reams of discomfort, especially as far as night-time observing is concerned. 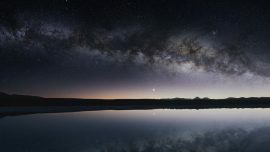 A recent scientific study has proved that more than a third of the global population can not see the milky way anymore. What are the effects of light pollution on astronomy? The light throughput generated by a city or a town does not spread itself exactly where it is meant to. An excessive amount of that light is projected towards the sky, forming a huge diffusive orange or blue halo depending on the primary type of light source used within the area. Whether inside these urban areas or in suburbs, the adjective “dark sky” seems to be obsolete, on grounds of this blurred veil disabling any contrasted view of the stars. Consequently, it becomes pretty hard to spot the stars and the constellations since the cities’ glow are decreasing the luminosity threshold – called magnitude – our eyes are capable of reaching. In a totally light-pollution-free sky, 6.5 is the limit magnitude our eyes can detect without help of any sorts of optical instruments. In other words, theoretically 2 500 stars of our sky would be accessible to the naked eye. In most of the cities, though, the magnitude over the one stars are being hidden because of light pollution drops down to 4.0 or 3.0. In these harsh conditions, only 300 or 200 stars are visible except in the heavy populated urban areas like Paris, London, New York, Hong Kong where around 30 stars and less are still shining. Keen amateur astronomers are the main victims of the rise of light pollution. Even today, professional astronomers observing through state-of-the-art telescopes are concerned by the over use of lighting, like in Chile. 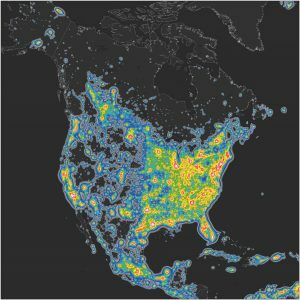 How can we prevent light pollution from getting worse? The main cause of visual disturbance can be explained by a high amount of useless lighting. Advertisement panels, empty parking slots, front store… typically are the types of lights mentioned as unnecessary. An improvement in terms of light distribution and orientation could permit decreasing unwanted light glow over the towns, as long as a middle-ground to insure the security of customers and pedestrians is found. Received idea: Shifting from orange sodium vapor lamps to LEDs does not mean to decrease light pollution. LEDs emit white light which affects a wider range of the visible light spectrum. Plus, they have usually an emission peak located in the blue which unfortunately fits with the main color of our night deep sky objects. 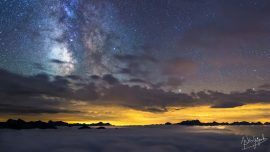 For years, a couple of associations advocating the protection of the sky have born such as the ANPCEN in France or the International Dark Sky Assocation (IDA) at a global scale. With the support of local authorities, they could end up adopting a law dealing with regulation of the french public lighting : since the 1st July 2018, front stores and advertisement signs must be turned off from 1:00 am to 6:00 am. This measure should avoid wasting 1000 GWh per year which represents a money saving of about 100 millions euros, or even the consumption of electricity of 370 000 households for a year. France is in a good way of ecological awareness, whereas 30% of the overall lighting in the United States are estimated to be useless and wasted, raising the money-loss to 3.3 B$ per year.